← Monday Question – What Is Your Fondest Fragrant Wish? 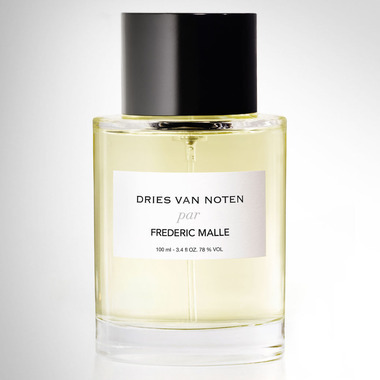 Dries Van Noten par Frédéric Malle is the first fragrance in a new collection by Editions de Parfums. Frédéric Malle’s aim with this departure from the main line is “to translate into scents the world of people he admires”. It seems that Malle feels an affinity with Belgian fashion designer Dries Van Noten and it will be interesting to see who he goes on to collaborate with in the future. Dries Van Noten the fragrance was released earlier this year and contains notes of sandalwood (a sustainable source grown in Australia), bergamot, lemon, saffron, nutmeg, clove, jasmine, guaiac wood, patchouli, violet wood, vanilla, sacraosol, tonka bean, Peruvian balm and musks. The fragrance does have a definite gourmand quality, however the woods stop it from completely tipping over into full blown lick-your-own-wrist territory. This may be because Malle wanted the perfumer, Bruno Jovanovic, to reflect the “unexpected harmony” of Van Noten’s designs and encompass both the sweetness of Belgian desserts (such as waffles) and the “sober warmth” of the Flemish people. Compared to the other fragrances by Editions de Parfums, the composition is pretty simple and Malle states that it has a very short formula. On me, it’s mostly a fragrance of saffron with a sprinkling of sugar over soft, pale woods. The citrus is just a dash, the spices mild and the jasmine subdued. The vanillic Peru balsam comes through in the late drydown, but it’s largely linear in terms of development. Dries Van Noten is a fragrance I see in complementary shades of burnt orange, beige, white and brown. It’s by no means a heavy perfume but it’s not ephemeral either. It has a quietly persistent presence, with excellent lasting power. I can imagine some Perfumistas being underwhelmed at first sniff but it did grow on me over several wears. It has an appealingly creamy texture, although I fear the sweetness and lack of complexity might grate on me in the long term. This is a very well blended fragrance – nothing jars – which could make it seem less than exciting and it’s true that it’s far from being a show-stopper. But, if you’re looking for a perfume to drape around you like a second skin, bringing comfort, sweetness and warmth whilst remaining chic, then Dries Van Noten par Frédéric Malle could be a very good fit. Quotes and images from the Frédéric Malle website. This entry was posted in Fragrance Reviews, Frederic Malle, Woods and tagged Dries Van Noten, Fragrance, Frederic Malle, Gourmand, Perfume, Review, woody. Bookmark the permalink. I like DvN a lot, but thought that it would work better on a man, although I have yet to find proof for that. (husband refuses to wear it). It’s interesting that you mention the colours, I have used the same in my description, but mine are may be a lot paler than the ones you have in mind. That is interesting to learn you used colours in your description too. I got a lot of saffron so that’s probably why I see it in slightly bolder colours than you. Someone Scandinavian would be interesting. Thank you, Tara – I’m happy I’m getting a review for this particular parfum from a person I have utter trust in. 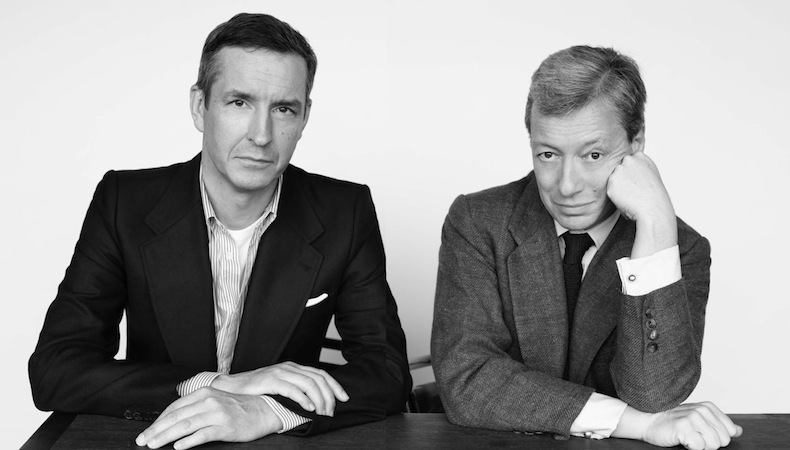 In spite of adoring and admiring both men, Van Noten and Malle I’ve never tried the fragrance. It will be high time now ! Malle and my beloved Haider Ackermann would fit perfectly for a future collaboration – wouldn’t they ?! I suspect this one will be rather too sweet for you but all new Malle releases are a must-try. Haider Ackermann’s clothes are amazing! I wonder if FM will veer away from fashion for the next one though. We’ll see. BTW I may have to spring for a bottle of Ceour de Vetiver Sacre, along with Traversee du Bosphore, sooner than planned now they’re both classed as “Last Chance To Buy”. I’m sick at home (with flu), not well at all. Oh no, i’m so sorry to hear that. I do hope you get better very soon. You must be bad to be stuck at home. Reading B’s review and others I can definitely see how CdVS is different on different people. I’d love to test it properly but I’ve panicked and made a best offer on ebay. Big hug to you, my friend. From my sample, I mostly smelled the guaiac, vanilla, sandalwood, tonka bean, and nutmeg. I agree that it’s a very well-blended fragrance. So that may be part of the reason I didn’t pick out the other notes. I’m glad I tried DvN. Yes James, you may well be right. It could be one of those fragrances where people pick up on different notes because they’re all well blended into the mix. I’m glad you tried it too. The whole line is an exercise in quality. I like this perfume very much in theory. 🙂 It sounds very good, the notes are yummy, by all means, I should love it. But once I wear it for more than an hour I grow edgy. Its inexorable insistence at being here (whisperingly so, but still) is unnerving to me. I look forward to another one in this line though. Thank you for your thoughtful review, dear Tara. Exactly! That quiet persistance can get to you after a while. A shame because, like you say, it sounds perfect on paper. I was pleased to learn B felt the same way about it. I’d be interested in your take on it too. I can easily imagine it being a comfort scent for many. I wish I got more sandalwood. Thanks for the tip about Cate Blanchett. That would be so great. A lovely review as always – thank you. I’m afraid I catagorised this as a bit of a ‘meh’, I liked the sweetness and I am always a fan of woody notes, but I just found it a little uninteresting. I can happily put it in my no thank you pile. I do know what you mean, Alex. It’s lovely and soft, well blended and good quality but it just doesn’t capture me somehow. It’s rather too sweet for me also but I can’t say I got the cardboard box! Thanks for your review, Tara. I liked DvN but agree with you that it doesn’t offer enough in the long run. It also reminded me of EL Sensuous, just a bit stronger and more gourmand. Yes, I think it will be a good seller too. Sweet, gourmand style perfumes are generally crowd pleasers. Perfumistas might need a bit more complexity to keep their interest though, as do I. I certainly didn’t dislike it though. I agree it’s not a bad start for this new collection. The early consensus from those who’ve tried it is that Dries Van Noten is an incredibly cozy and comforting scent. I think that is very true, if you like gourmand fragrances. But those who aren’t so keen on smelling like food may not be that enamoured. It is one reason why I’m not a huge fan. Another is that I find both its sweetness and its linearity to be, ultimately, a bit too much for my personal tastes — especially for the price. The perfume starts at $185 for a 1.7 oz/50 ml bottle, with the larger bottle retailing for $265. Even if you buy the set of 3 travel-sized minis, it’s still $125 to smell like a Snickerdoodle and yeasty, sugar dough.